I have the Nikon Z 6 and Nikon Z 7 in my hands and it is time to set up the cameras for use. Following are the 31 steps I took to make an out-of-the-box Nikon Z 6/7 ready for use. While looking at an in-focus subject through the viewfinder, adjust the viewfinder diopter until the view is sharp. To do this, pull out on the adjustment knob beside the viewfinder and turn it until the view is sharp. Then press it back in to lock in the setting. To copy this configuration would mean that you intend to shoot similar to how I shoot - including shooting in RAW-only format (highly recommended). While my setup works great for me, your best use of this list may be for tweaking your own setup. If you can't remember your own menu setup parameters, keeping an up-to-date list such as this one is a good idea. Anytime your camera goes in for a service visit, the camera will likely be returned in a reset-to-factory state (unless you request otherwise). If your camera ever needs reset to factory settings any reason (or you purchase a second model), having your list available means you will be ready to restore your setup quickly while ensuring that you do not miss an important setting when putting the camera into service. The Nikon Z 6 is in stock at B&H | Amazon | Adorama | WEX. Rent the Nikon Z 6 from Lensrentals. The Nikon Z 7 is in stock at B&H | Amazon | Adorama | WEX. 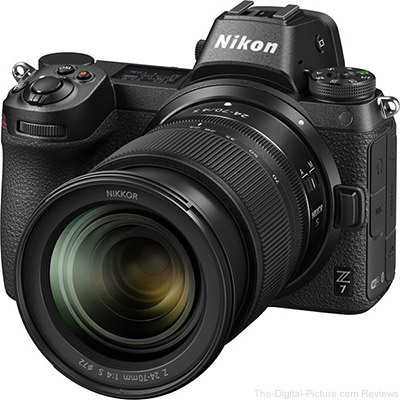 Rent the Nikon Z 7 from Lensrentals.